One of the largest studies of our galaxy has just been completed. 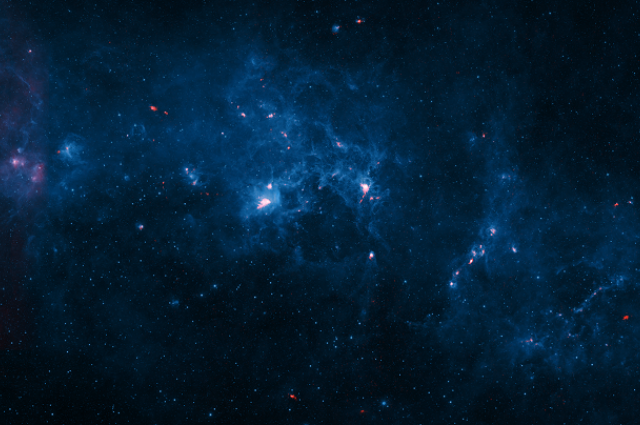 The ATLASGAL survey has mapped a huge swathe of cold dust and gas distribution in the Milky Way in order to understand how and where stars form. The survey has so far produced 70 scientific papers, and in the latest publication, astronomers combined the survey data with observations from the European Space Agency’s Planck satellite. The paper, which appeared in Astronomy & Astrophysics, detailed the location of dense star-forming regions and established a precise star-formation rate for our galaxy: The Milky Way forms 13 stars the mass of the Sun every 10 years. The project was possible thanks to APEX, the Atacama Pathfinder EXperiment telescope, in Chile, a precursor to the advanced Atacama Large Millimeter/submillimeter Array (ALMA), which is studying the universe at wavelengths between infrared and radio. Dr. Carlos De Breuck, ESO APEX project scientist, told IFLScience: “We can have detailed observations of our galaxy because we are inside it. So we can zoom in the regions where stars are born. To understand how our galaxy has changed and is changing is very important in order to get a complete census of these star-forming regions. The final catalog covered a 420-square-degree area of sky, more than four times larger than the first ATLASGAL survey. Although the ATLASGAL survey is now complete, this is not an end but a beginning. “There are many things we can do now. It is a very versatile survey. 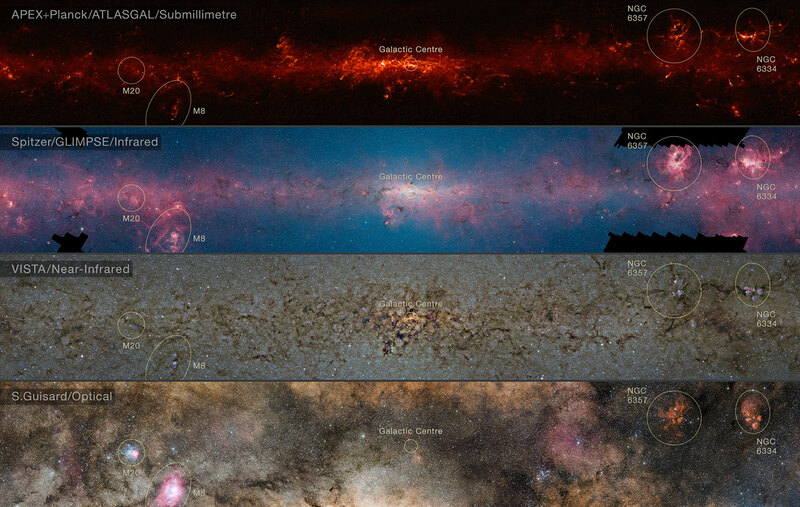 We found many small compact regions that we could follow up with ALMA,” said De Breuck. The follow-up observations will not be just in the submillimeter but also in other wavelengths, which will deliver a better understanding of these important regions. “[The different types of observations] directly illustrate how powerful it is to look at the complementary data between these different observations. What you see in one wavelength is not directly what you see in another wavelength,” added De Breuck.